To put it plainly, I remember Haley as one of the most genuinely caring people I’ve had the privilege of teaching at Oak Hill Academy. As I got to know her in class and, in her senior year of 2011, as the manager of the girls’ basketball team, I knew she would find a niche that involved being others-oriented. I also knew she could become passionate about the things that interest her. But, as I opened an issue of Bicycling Magazine, I was shocked to see Haley, pictured in full cycling gear, giving her pointers in this gold standard publication. I mean, what’s Haley doing here among the Big Dogs of a sport that takes years to master? I thought I knew her, but she is a cyclist? Then I read on and it made perfect sense. As I read, and later on from talking with her, I see that the sport she has fallen in love with fits her personality so well. It’s magic when one discovers their passion. Through cycling, Haley is able to be part of a team, yet immerse herself in personal accountability. But it is giving to, and inspiring others, that really makes this sport click for her, she explains. That’s the Haley I came to know at Oak Hill Academy. I remember the weeks leading up to Haley’s graduation from Oak Hill Academy and how excited she was to be heading to Austin, Texas and to her dream school, The University of Texas. I thought, “cool town, – this is going to get interesting for Haley.” After seeing her article, I was anxious to catch up and see just how interesting it has gotten for her. Mr. Rodgers: How did the magazine feature come about? Haley Weaver: Ha! That article was funny. I just wrote some honest comments on a friend’s Facebook status update and then was contacted by Bicycling Magazine! MR: As your Government teacher, I’ve got to know – What are you studying at UT? HW: I am a double major in both history and rhetoric & writing. I’m hitting my stride and getting lots of A’s after pausing my college studies twice. I’m especially proud of not giving up. MR: I can imagine that parallels the sport of cycling. Did your experience at Oak Hill Academy prepare you for these kinds of challenges – academic and personal? HW: Yes, for sure. OHA gave me an understanding of the importance of personal accountability. In previous academic settings it had been very easy to hide poor academic performance from my parents, and even from myself. Oak Hill’s academic structure taught me to be honest with myself and not to try to slide by unnoticed. MR: So, would you recommend Oak Hill Academy to the 16 year-old you? HW: Yes, in some form or fashion, I think about Oak Hill every day. Without the habits, resilience and discipline that I was able to form during my time there I would not be where I am today. I rely on that mindset not only with school, but it definitely set the stage for my interest in cycling. MR: For you, what was the greatest strength of Oak Hill Academy? HW: Learning accountability through the structure and small environment. Everything is fairly predictable at Oak Hill: If you do “X,” such as forget your homework or leave your room messy, “Y” will happen without fail. MR: What is it about cycling you find fulfilling? What else fulfills you these days? MR: I thought I knew you! How did you get into cycling? HW: Austin, as you know, is a really cool town and easy to get around. However, the rules for obtaining a driver’s license there (I’m from N.J.) hung me up a bit. I began biking to commute and gradually became stronger. A friend guided me into racing and introduced me to the competitive and ultra-supportive cycling community. I’m a competitive person and now I’m addicted! MR: What do you remember most about Oak Hill Academy? HW: The people, for sure. I made some real friendships. Some of the classes I took and the relationships I made with some teachers – Mrs. Richardson’s (now our school Principal) English class, Mr. Rodgers’ Psych and Government classes, Rev’s World Religion, and Art with Mr. Hill stand out. I also get nostalgic for the Blue Ridge Mountains that surround Oak Hill Academy. I grew to love those mountains – they are strong and consistent – their presence commands respect. The Austin area, on the edge of “Hill Country” in Texas, is amazing too, but I know someday I will return to Oak Hill Academy and I’ll bring my bike, of course. I first met Chase when he entered my first period class as a mid-semester enrollment. “The new kid.” He was not thrilled (an understatement) about the big change a new school meant and, although respectful, he was not quick to engage. But, as is so often the case at Oak Hill Academy, the “new” kid quickly began to be accepted by his peers and settle in socially. The academic settling in was not so instantaneous. Chase had been told in his old school to lower his goals. He had struggled to find engagement in the classroom. His self-image had eroded. In short, he was feeling quite “beat up,” despite great support from his family. His Mom was at her wit’s end to provide an opportunity for Chase to realize his potential when she contacted Oak Hill Academy. Flash forward a few months and Chase had begun to take pride in staying on top of his work; he found ways to engage socially and in extracurricular activities, and was showing more confidence in the classroom. I will always remember the day, in class, when he offered to be the manager for the Lady Warrior basketball team which I was then coaching. I knew two things at that point: 1. He had committed to coming back the next year and was even looking forward to it–a huge step from when he had arrived–and 2. I would be spending a lot of time on the bus and on the road with this kid! From this relationship, I learned a lot about Chase’s evolving goals for himself. I watched as he went from a kid who had been told to lower his expectations for college, who had correspondingly shied away from responsibility and structure, to a young man who began exploring future plans that included applying to The Citadel, a very prestigious and selective college institution. To make it at The Citadel, tremendous discipline and perseverance is required. It is not for everybody. This represented the change from a kid who ran from responsibility to a young man who was now running toward it! He was not choosing the easy path. I’ve kept in touch with Chase as he goes through his journey at The Citadel–knowing where he came from and taking immense pride as he passed each milestone there. He’s told me many times that the relationships (I’m happy to be included here) that he made with teachers and peers at Oak Hill Academy was his turning point. He came to believe in himself because others around him did so first. We just spent the most glorious weekend at The Citadel watching Chase get his ring. Looking at the picture below, I bet if Coach Smith knew he had that kind of verticality, he may have signed him up! As usual when we have these milestones in life, we reflect on times when things were not as good/easy. Then, we always come back to OHA and the positive effect that had on his trajectory and life. He graduates in May, so it will be interesting to see where life takes him next. For now, we are relishing this moment, and realize it wouldn’t have been possible without you folks. Please know the difference you are making in these young people’s lives every day. That’s Chase in middle, getting some serious air! When Keith graduated in 2011, I knew he was going to have an interesting path ahead of him. 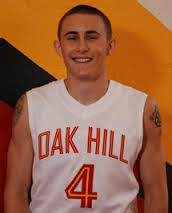 As the president of the senior class, a student in my class and key component of some of the best teams in recent Oak Hill basketball history, I knew his presence would be missed. I had come to know Keith as a sixth grader attending Coach Smith’s summer basketball camps and had seen how, when he puts his mind to something, he finds a way to achieve it. My pleasure was getting to know Keith well off the court as a student and part of the Oak Hill Academy campus community. I knew the combination of personality (he has a ready smile that often hides how driven he really is) and work ethic was going to bring big things his way. Keith has been relatively easy to keep up with post-graduation as much of his journey has been played out with media coverage. After a very successful two years at the University of North Carolina at Asheville, Keith took the rather controversial step of fulfilling his potential of playing at the highest levels by transferring to LSU and a much higher athletic profile. As per NCAA rules, he sat out a season but, true to form, did not “take a year off,” instead transforming his body and skills in preparation for making an impact on his new team. 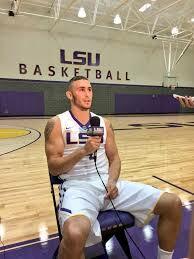 His 35 minutes of playing time per game, ranking among the top in the SEC, indicates his value to the team. Along the way, Keith has been taking care of business in the classroom as well. 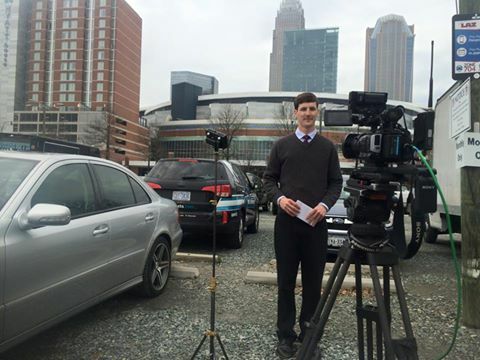 As a mass communications major, Keith is gaining a tremendous amount of on the job training in front of the camera. Becoming a fan-favorite on a successful team in one of the biggest conferences in college basketball (and hitting some game winning shots!) means a lot of media attention. I’ve really enjoyed seeing Keith’s poise and humility in front of the cameras as I frequently see him on ESPN and I take pleasure in knowing that his success on the court and in the classroom has not been handed to him. I recently caught up with Keith to discuss his experiences at OHA and the perspective of that time that 4 years have given him. In what ways did your Oak Hill experience help you grow? The thing that stands out to me, looking back, is that it forced me to build social skills. Because the student body is so diverse, I really enjoyed learning to relate to so many different kinds of people. Of course, learning to live without your parents looking over you is a necessary development too. I really look at it now as a true “pre-college” experience. For me, college was not as big a jump as it would’ve been otherwise. Is there anything specific that Oak Hill did to help prepare you for college success? I had teachers like Mrs. Bonham who were demanding. She was tough but it made sure you got the job done. However, I really learned that having a relationship with a teacher is key. That really prepared me to take the initiative with my college professors even though, college is, obviously, a much bigger setting. What are some of your favorite memories of your Oak Hill days? It’s funny, I was just looking at a yearbook and remembering the fun we had. The weekend activities were great – I appreciate now how hard the staff works to provide those off-campus trip opportunities to haunted houses, movies, local attractions, etc. On campus, I really remember Karaoke Night as a great time. Remembering Spirit week brought a smile to my face. Also the devotions in homeroom. I remember some really thought-provoking messages. I also remember the experiences I gained in public speaking at Oak Hill, which obviously helps me in my major (Mass Communication). It was a great training ground for being a leader in that it was small enough to know I could really make a difference. In fact, I’ve continued in that having been selected by my peers last year to serve on the Student-Athlete Advisory Committee at LSU. I also remember the plays at Oak Hill which, little known fact, I was in the Theatre Department at UNC-Asheville before I transferred. All of that stuff started at Oak Hill for me. What do you feel makes Oak Hill Academy unique as a boarding school? At first the restrictions on cell phones and technology seemed like a punishment, I’m not going to lie. However, having limits on that really produced a beautiful thing: we became such a tight-knit student body – like family – and I don’t think many people get to go to a school with that kind of bond between classmates. I still keep in touch with many of my classmates – not just my former teammates – but people I share the Oak Hill bond with. There’s a pride that comes with being an Oak Hill graduate because it is a pretty exclusive club. You really don’t understand how beautiful it is to be part of something like unless you come to Oak Hill. I truly miss how simple and pure life was at Oak Hill without a lot of the distractions that typically face kids. We wish Keith much continued success on the court and in the classroom. 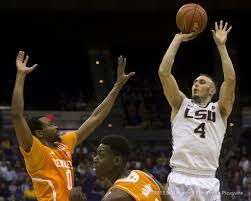 His many fans in Mouth of Wilson, Va will be rooting for him and the Tigers this upcoming season, his senior year! Some students have so much personality that you know their story is going to be interesting. Ben Powell was that kind of student at Oak Hill Academy, making his mark as the student body president and official “hype” man of the Warriors basketball program before graduating in 2005. 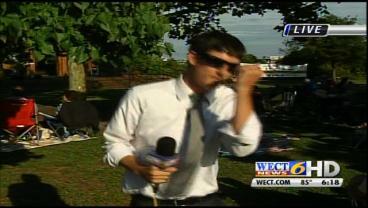 As he has been an on-air news reporter the past 5 years in North Carolina, he has been fairly easy to follow. 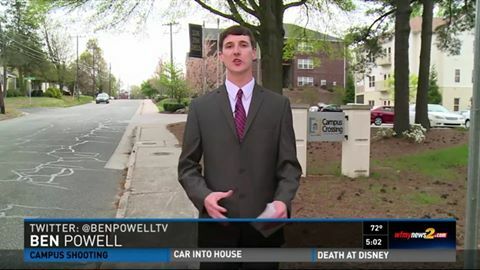 I was very excited to learn recently that his talents have brought him to WFMY News 2, in nearby Greensboro, NC. Imagine how proud we are to see our guy, Ben, on an almost nightly basis now! 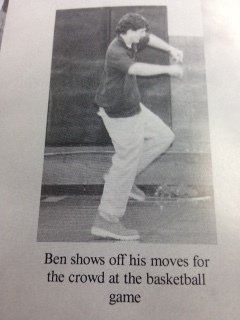 Ben received his Bachelor’s Degree in Communication Studies from UNC-Wilmington and hit the ground running. 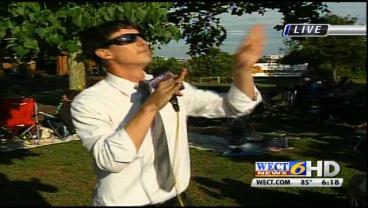 Starting off as a production assistant at WECT-TV 6 in Wilmington, NC, Ben quickly worked his way up to Weekend Anchor. He earned several awards for broadcast excellence from the Radio Television Digital News Association during his time there. 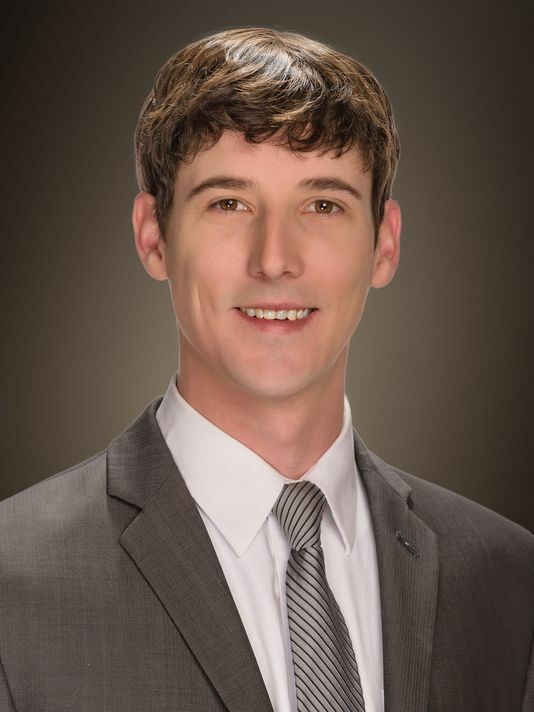 He is now the Multi-Media Journalist for News 2. I recently caught up with Ben to discuss his time at OHA and the impact he feels that has had on his life. What have been the lasting benefits of your time at Oak Hill Academy? Looking back, I know I developed several character traits there. Character, integrity, discipline and respect – just to name a few. I was pretty direction-less when I arrived in 8th grade. Being part of a close-knit community allowed me to grow. Now that you have some perspective, what makes OHA special? 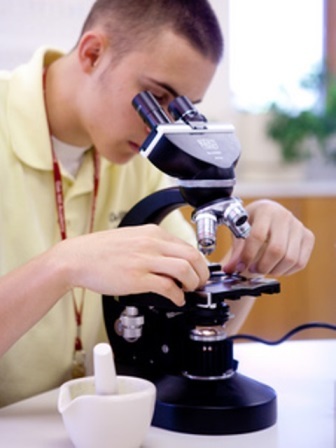 Would you recommend Oak Hill Academy to prospective families with a student like you were? I would definitely recommend this experience. Although it is a huge lifestyle change and it does take some getting used to things like Saturday school and cell phone restrictions, in the end it is so worth it. You’ll never forget the things you learn about yourself and the relationships you form there. From your bio, I see that you’ve done some pretty cool things in reporting, from interviews with convicted killers to A-list celebrities. What’s the coolest thing you’ve done in the job? My job once took me to the red carpet premiere of “Safe Haven” a major film based on the romance novel by Nicholas Sparks. It was filmed in our backyard in Wilmington. It was really cool to be in Tinsel Town interviewing all the stars. But the most rewarding thing about my job is telling the stories that create change in the community. I love getting feedback from someone who thanks me for telling their story and raising awareness about the issues that face our society. I feel like I’m helping the community one story at a time. 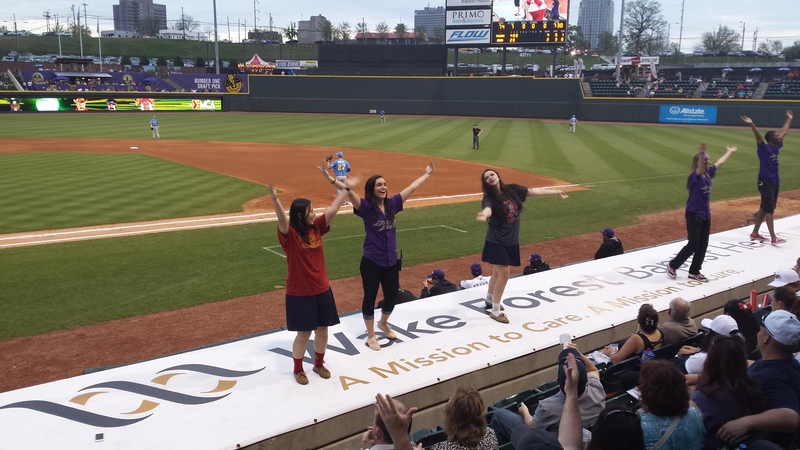 Now the tough question: Do you miss performing at the halftime of Gold Team games? You had some serious dance moves. (Laughs) Well, despite attending school with Carmelo Anthony, Josh Smith, Rajon, Ty Lawson, Kevin Durant and all the other big name players, I think there is no doubt who the real star of the show was. It’s been 10 years, but I think I still have some gas in the tank. I think I’ll visit “The Hill” soon and shake off the cobwebs! Ben, we believe you. We’ve got the footage to prove it. 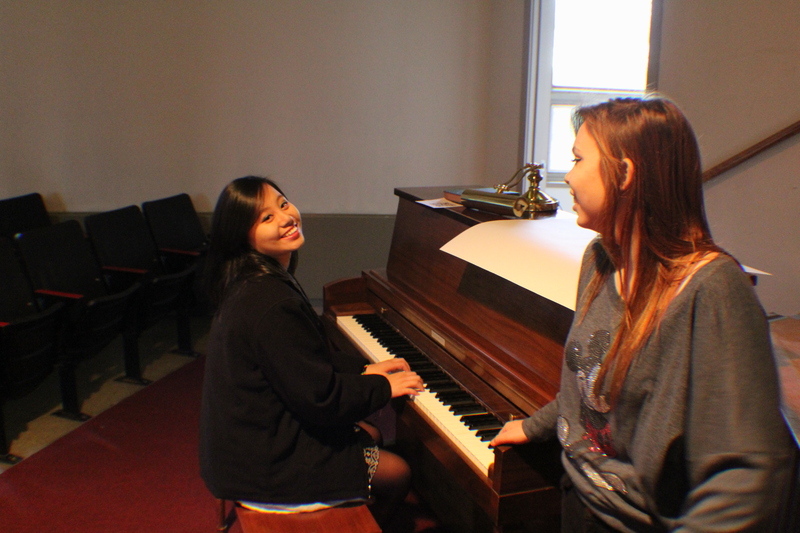 I first met Amy as a shy incoming 8th grader from China who had a large language barrier to overcome. A short, memory-filled 5 years later, she is less than two weeks away from graduation at Oak Hill Academy We are all very proud of the engaged, confident young lady she has grown into before our eyes. High Point University in North Carolina is next on the horizon for Amy. She chose HPU from among several great scholarship offers from several good schools. Amy is also a great example of the relationships built at Oak Hill Academy although it doesn’t take 5 years to do that. Amy has acted in several play productions and has grown into leadership positions on campus such as student ambassador and Admission Department intern along with a long list of community service involvement. She embraced the opportunity to become part of a close-knit school community, and along with long-term support of the ESL program, is now completely bi-lingual. We now take the opportunity to check in with her before what is sure to be an emotional graduation time arrives. 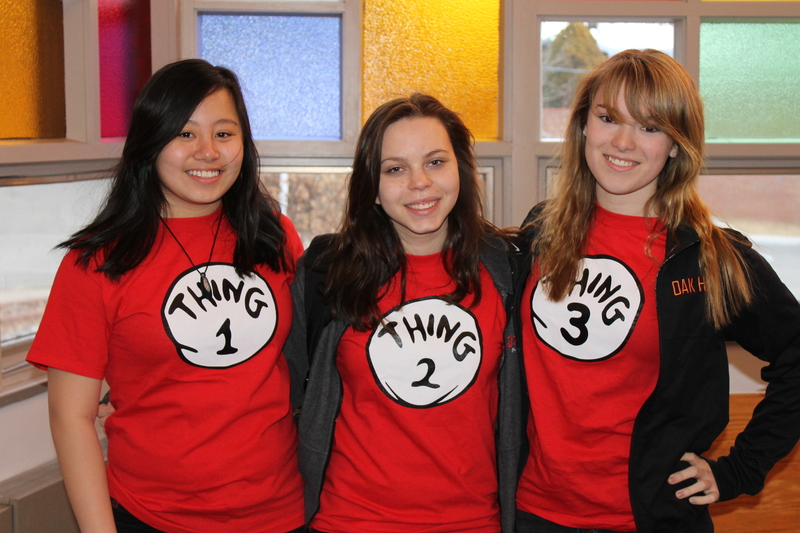 As an international student, what were your first impressions of Oak Hill Academy when you arrived? To be honest, I thought it was too much in the country. I’m from the city and that took time to get used to. I remember feeling everyone was friendly and I was glad the school is not too big. I was worried that I might not fit in before I got here. In what main ways have you grown at Oak Hill Academy? I’m not scared to try new things and my confidence has grown a lot. I’m a much better student than I thought I would become. What are the most important relationships you’ve developed? I have a bond with Mr. Henry Crede (Dean of Student Affairs) and he has become like a father to me. I’ve felt support from a lot of faculty and staff and, especially, friends over the years if I’m having a tough time which happened more when I was younger. What have become your favorite activities while at Oak Hill? 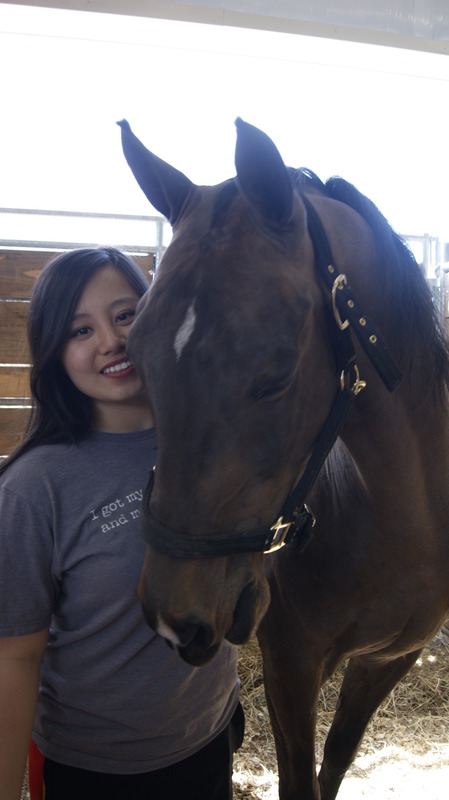 In Shanghai, I never really had the opportunity to ride horses – the equestrian program has become a big part of my life while at OHA. I also love to dance. 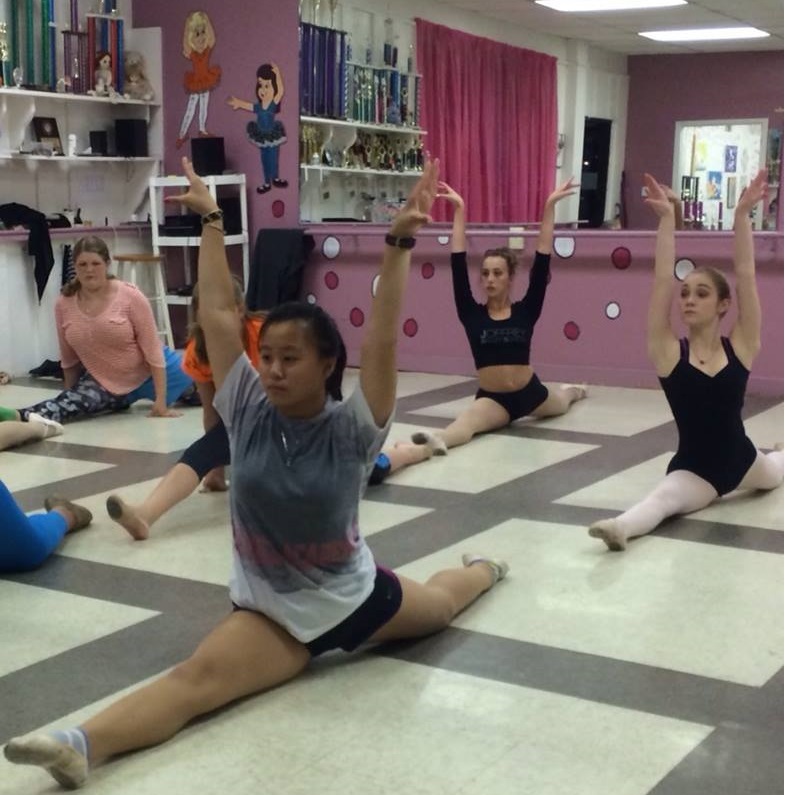 (Oak Hill does not have an official dance program, although cheerleading has been a good outlet for Amy) There have been many adults on campus who have gone above and beyond to help me continue to pursue dance. I really appreciate that effort to take me off campus to attend weekly dance classes and competitions. I did a devotion in home room the other day to express how much that has meant to me! Any advice to international students that will attend Oak Hill Academy? Don’t be afraid to talk to other people. Be brave. Nobody here judges you while you are learning English. The students and teachers understand. You need to socialize with all other students to learn things outside of class. Don’t be afraid to try new things, you never know what joy it will bring to you. What have been the biggest obstacles to overcome during your time here? Obviously learning English seemed like it was going to be hard, but it turned out to be really easy as I look back. Saying goodbye when I graduate will be the biggest obstacle for me so I’m appreciating every memory I’m making at OHA. Alex Rodgers attended Oak Hill Academy for three years and was a highly visible member of the Lady Warriors basketball team, served as an honor court member and was active in many other groups on campus. She was fortunate to have quite a few college options with her combination of great grades, active campus involvement and basketball ability. She eventually chose the opportunity of attending Princeton University, a decision she calls “the best decision I’ll probably make in my life.” As she fast approaches graduation in a couple of weeks, we take the opportunity to catch up with her. What have been your biggest memories during your college experience as you look back?It would be obvious to talk about the tremendous success I’ve been able to be a part of with the women’s basketball team at Princeton (The Tigers finished the season 31-1 and made history with the highest national ranking and NCAA seeding ever for an Ivy League program and Alex’s senior class has amassed a record 98 wins), but I’m really going to remember most how I’ve grown. Coming out of Oak Hill Academy where I had friends and interacted with people from so many backgrounds, I was prepared and had the confidence to take advantage of those kinds of opportunities here. Oak Hill is where I first learned to step outside of my comfort zone and take leadership roles. I’m glad I did! Through the PU Religion Department, I’ve been able to participate in a human rights conference in Cuba, and through the PU Athletics department, I was able to spend significant time in Senegal and Paris. But lately what I feel like I’ll remember most is writing my senior thesis! What was your favorite class at OHA? I’m graduating with a degree in Religious studies and I’m sure that was influenced by how much I enjoyed Reverend Turnmire’s Survey of World Religion course my Junior year at OHA. That class did a lot in inspiring me to develop a world view and get a lot of college level writing experience. I feel the same way about the World Cultures class I took with Mr. Hill. 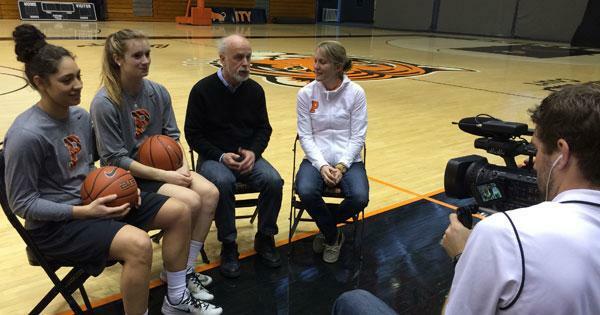 Alex and her teammate participated with her coach and a professor in a short film analyzing the physics of the three point shot. What was the most valuable thing you learned from your Oak Hill experience? The power of relationships is easily the best lesson I learned at OHA and something that has continued through my college experience. There is a special bond that you share with your classmates and teachers at Oak Hill Academy – it’s a special community. Do you feel that boarding school prepared you for a better transition to college ?I think it did, yes. A lot of boarding school relied on routine, responsibility, and accountability. OHA gave me the tools to be able to establish all 3 principles on my own in college which is an even more intense and demanding environment. What advice would you give a new student to prepare them for success at Oak Hill Academy? Know that you can redefine yourself once getting to Oak Hill. If you commit to the process you will hone in on study skills, personal skills, and life skills. Growth in all of these areas will add to any and all of your future endeavors, whether you want to be a professional athlete, politician, business person, or whatever. 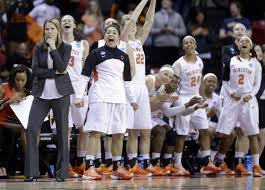 These sentiments were echoed by Courtney Banghart, Head Coach of the Princeton Women’s Basketball team: Alex came to Princeton as a confident learner. She had valuable time management skills and was accustomed to the independence of living away from home. She was used to learning alongside a range of students from diverse backgrounds. Also, Alex knew how to ask for help. She understood the power of relationships, something she surely learned in her time at boarding school, and began building connections in her first days at Princeton. 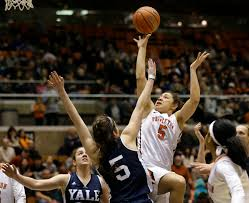 Tiora Hackley spent 4 years at Oak Hill Academy, graduating in 2008. Her contagious personality and the personal growth she showed during that time have made her one of the most fondly remembered students to come through in many years. Tiora has been very busy and productive since graduating from Oak Hill Academy. After attending Norfolk State University and, later, Virginia State University on a basketball scholarship, the Virginia Beach native has gone on to some very prestigious internships and putting her BFA degree to good use while working in the graphic design industry and starting the Teekie Apparel brand (www.teekieapparel.biz). I recently spent some time catching up with “Teekie” and discussed the impact of the Oak Hill experience on her life. What are you doing now in the business world? 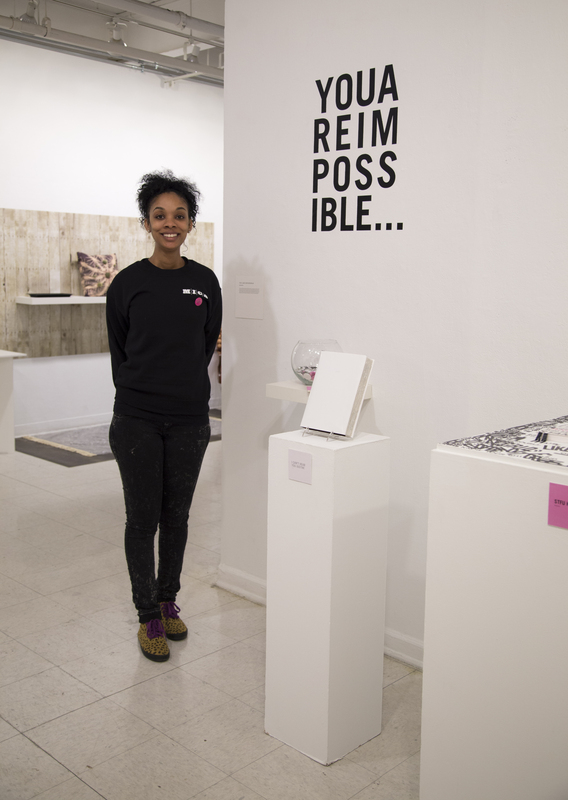 Right now, I am finishing my graduate work at the Maryland Institue of Art (MICA) and plan to graduate the post-baccalaureate program in graphic design in May. I’ve got some business opportunities with my apparel brand and am applying to some great companies. I can’t wait for my next move! What has been your path since graduating Oak Hill Academy in 2008? I was a student athlete (women’s basketball) at Norfolk State and transferred to Virginia State University for my last two years. I graduated VSU with a BFA in Graphic Design, did a lot of work for the VSU athletic department as a media specialist and started my own clothing line, Teekie Apparel, all in 2013. I was also able to secure a graphic design freelance assignment with the Under Armour Retail Design Team in 2014. I also extended the Teekie brand by working as a stylist consultant for a WNBA player, Monica Wright of the Minnesota Lynx. This year, I made the tough decision to go back to school to invest in my career and currently attend MICA. 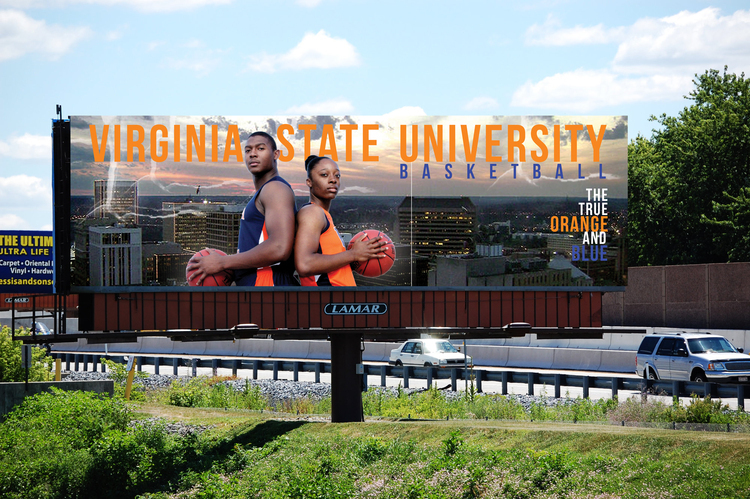 This is one of the many marketing pieces Tiora created for VSU. 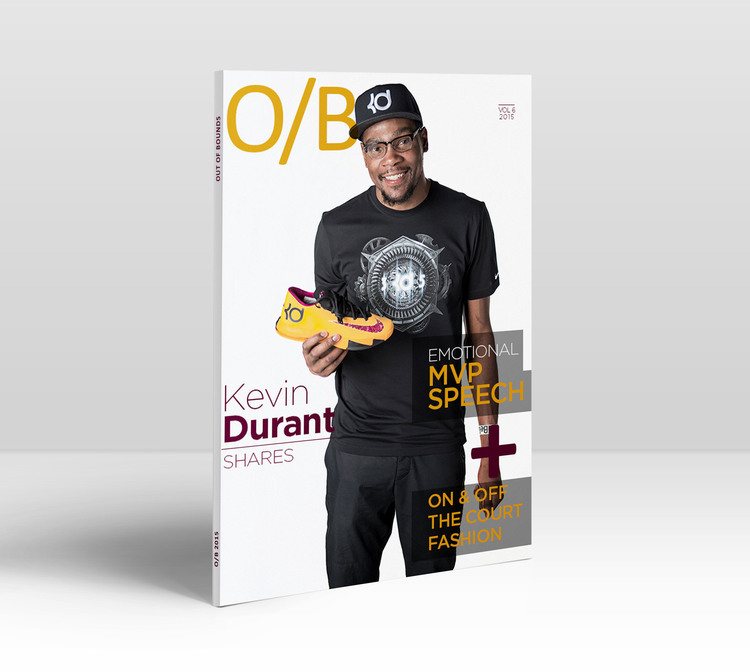 She tells the story of how cool it was to run into one of her former Oak Hill classmates, Kevin Durant, during one of her work assignments. What did you discover about yourself at Oak Hill? At Oak Hill, especially by my senior year, I realized that I could accomplish anything I put my mind to. At Oak Hill, I developed confidence and was able to focus on my future. I had a lot of support from teachers like Rev. Turnmire and Mrs. Bonham who taught me that good things come from hard work. I feel that I was pushed to the highest potential and was guided in all areas of life – not just academics. The spiritual opportunities at Oak Hill also has a lasting impact and I always do my best to attend church and be thankful to God to this day. Because of this support, it became very important to me to leave a good impression on my peers and teachers. It wasn’t always like that – I grew up a lot at OHA. Did Oak Hill Academy help foster your passion for graphic design and art? Most definitely. I was involved with a lot of 21st century skills through Ms. Sargeant’s classes. I also enjoyed the art classes which rounded out my experience. I remember the many projects I was given the responsibility for such as the senior night video presentation, which I think was a big hit! We are very proud of the ambitious, energetic young woman Tiora has become. During her time here, Teekie became “our kid” and we have lots of great memories of her. I must also point out that Tiora became the first 1000 point scorer in Oak Hill Lady Warriors history and is considered a pioneer of the program. Please contact Mr. Rodgers, Director of Admission for application information or to discuss our school. We want to part of your success story too! www.tiorahackley.com to visit Tiora’s graphic design site. As a new feature to our Admissions Blog, I will be profiling some recent graduates and current Oak Hill Academy students in the coming weeks. In the past several years, our Art Program has experienced serious growth and several benchmark successes. We have added an AP Art class, started a Creative Innovations club and have helped a few of our recent students prepare for, and navigate the art school admission process. Kekoa, now in his second year at Parsons New School of Design, represents one of our more interesting stories. His dream of entering the fashion design world presented a challenge to our art teacher. We do not have a formal class for this specific field. 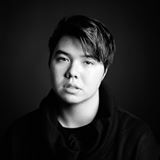 Instead, Ms. Luksic helped Kekoa, through our advanced art classes, develop an independent study program which enabled him to create the portfolio and academic transcript that opened the doors to the prestigious Parsons New School of Design. This was Kekoa’s dream school, and the campus in New York City, his dream location. I believe Kekoa’s Oak Hill story illustrates a couple of keystones of our school. We are relational and personal in our approach to our students. His relationship with Ms. Luksic paved the way for the many personal hours she spent challenging him and helping him “tailor” (pun intended) his course work to highlight the skills necessary in fashion design. We are also very individual and offer a great deal of flexibility in developing a course of study that meets our students interests and future plans. By partnering with other departments on campus, Kekoa found opportunities to make the costumes for our Theatre productions and he was encouraged to display his work on campus. 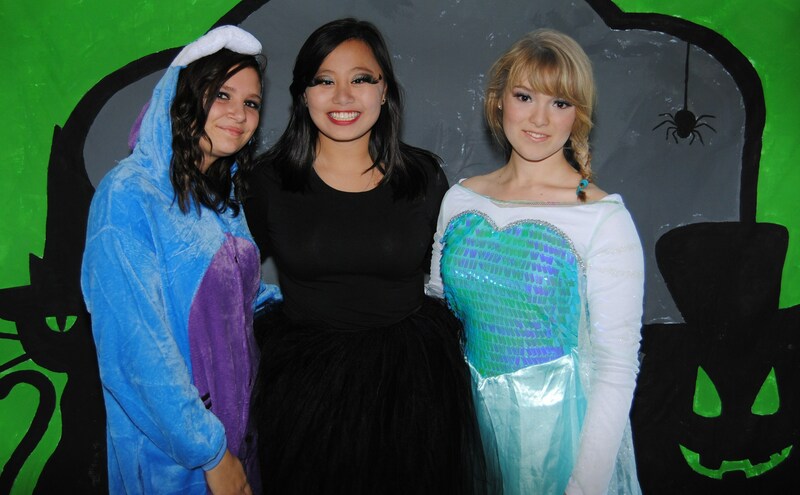 For example, some of his creations were even seen on some classmates at our spring formal dance! I caught up with Kekoa recently to discuss his experience at Oak Hill Academy. Why do you think you were so successful at OHA? I think it was my individuality – I’m so different from everyone. I was the art kid, I brought a new perspective but I was able to immerse myself in the environment at Oak Hill Academy and that was encouraging. You grew up living in Indonesia. Describe the diversity on our campus and how that feels to an international student. There is so much diversity at OHA, we were all adjusting and accepting of each other. It helped knowing I wasn’t the only one adjusting. I would definitely recommend Oak Hill to other international students. The small environment allows you to really find yourself. Describe the relationships you remember from Oak Hill. Ms. Luksic (Art Teacher) will always and forever be the most insightful, reassuring and encouraging teacher I have ever had. She pushed me to a point where I could produce work I was truly proud of – I’m eternally grateful. She took the time to develop projects that pushed me in terms of fine art and illustration along with my fashion work. Also, Mrs. Groves (Guidance Department) was my guardian angel in the college acceptance process. 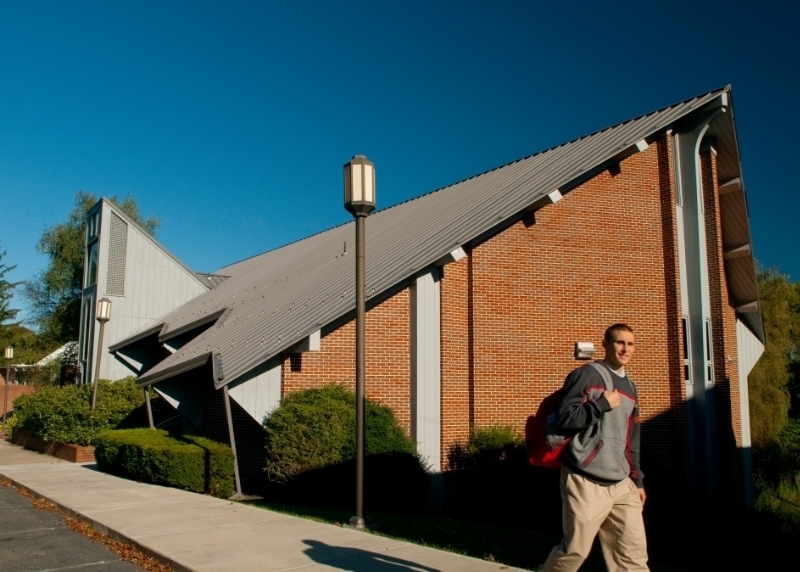 Do you feel your experience at a small boarding school like Oak Hill Academy prepared you for college? I definitely felt prepared. My time at Oak Hill Academy, looking back, was quick and it was intense. I basically grew out of being the awkward art student to a more confident person. I developed high expectations for myself. I knew I wanted to pursue fashion and there I was able to set my mind and goals. I wouldn’t change a single thing about it. 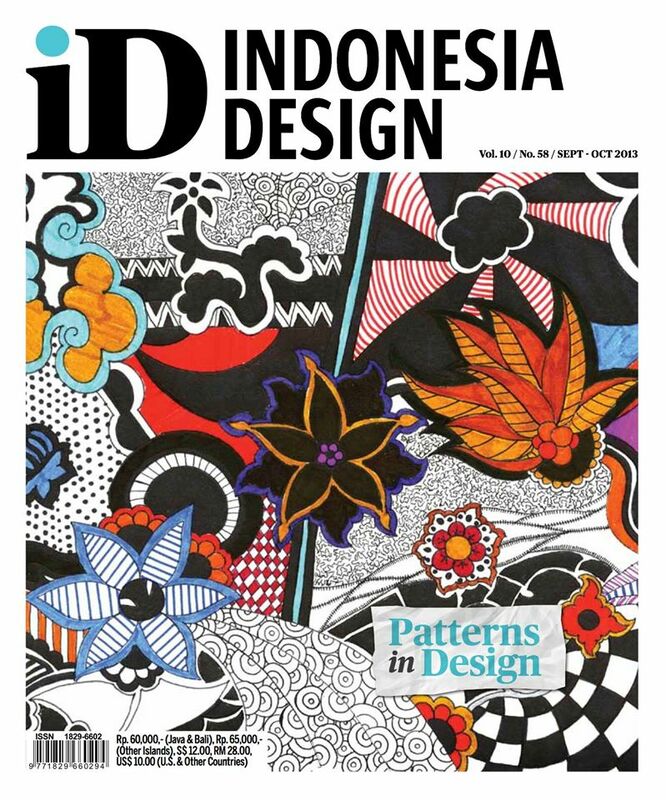 Kekoa was commissioned to create the cover art for his nation’s most popular design magazine in 2013 for their series on Patterns in Design. It showcases his versatility as an artist.